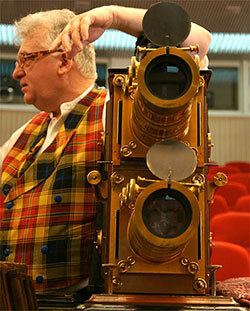 The power of the Magic Lantern is in the show! 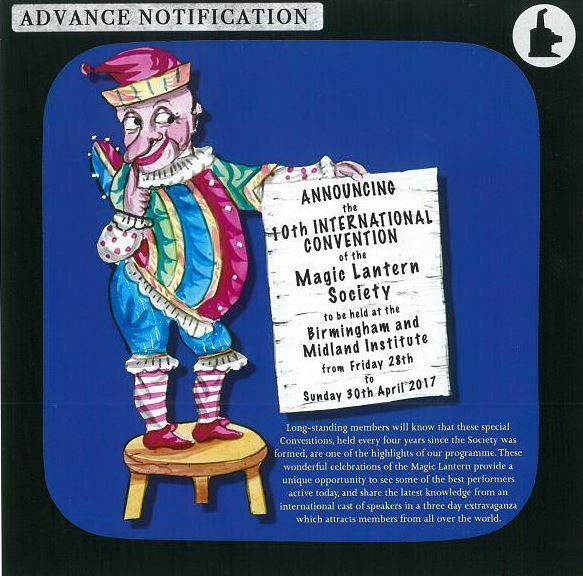 The Magic Lantern Society meets every three months, organises international meetings and visits, and hosts an International Convention every four years. Not yet a member? You are welcome to join us at our quarterly meetings as our guest. Please Contact us for more details. The programme and further details are now available – sign in to the Members’ Area for access. If you are not a member and would like to attend as a guest, please Contact us for more information. We meet four times a year in different U.K. locations for lectures, shows and a market. Our meetings provide a great opportunity to meet like-minded people, learn something new about the lantern or just enjoy the show. Members also organise occasional regional meetings and the Society is always pleased to be able to organise visits outside the U.K.
Every four years the Society hosts an International Convention in Great Britain for its members. The Convention takes place over three days attracting members from around the globe as it features a full programme of lectures and shows, an exhibition, a collectors' market, a Gala dinner and culminates with an auction. The release of many of our publications has coincided with a convention.